Factory MSRP: $77,030 2018 Dodge Challenger SRT Hellcat Torred 2D Coupe HEMI 8-Speed Automatic RWD ABS brakes, Alloy wheels, Compass, Electronic Stability Control, Front dual zone A/C, Heated door mirrors, Heated front seats, Illuminated entry, Low tire pressure warning, Navigation System, Remote keyless entry, Traction control. 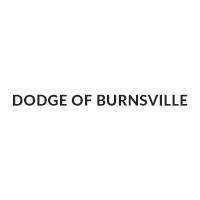 As the premier Dodge and Ram dealership in the Burnsville, Minnesota area, Dodge of Burnsville takes pride in finding the vehicle that best suits your lifestyle. Nobody sells or stocks more Ram vehicles than the King of Ram! Come into our Burnsville, Minnesota dealership today to see our unbeatable prices on everything from a new Ram 1500 to an affordable pre-owned vehicle. Since Dodge of Burnsville's founding in 1983 by John Adamich, treating each customer as part of the King of Ram family has been our number one priority. Our emphasis on quality work and fair prices are why more people turn to the King of Ram than any other dealership in Minnesota for their Ram truck needs.